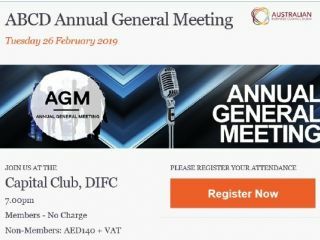 The Australian Business Council Dubai will be holding its Annual General Meeting at 7.00pm on Tuesday 26 February 2019. The AGM gives our Chairman, Carl Dowling, along with the Executive Board, the opportunity to share with you what has been achieved over the past year as well as projects and developments planned for the year to come. It will present, in detail, some of the key areas and services that we have been evolving and improving on for our members. Following the AGM there will be networking drinks. See below for the proxy for those members who cannot attend but would still like their vote to count via another member at the meeting. The ABCD Executive Board consists of a minimum of 9 and maximum of 11 people. 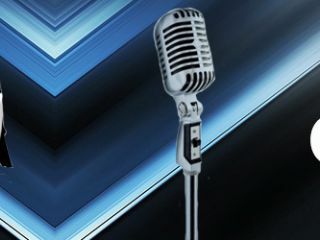 The current members of the Board who have indicated their intention to re-stand for election are: Wajd Al Hashmi, Grant Bateman, Carl Dowling and Nick Humphrey, and we are now accepting nominations for new Board Members. The Executive Board drives the Council in growing both membership and reputation, and builds on our established relationships within the business community in Dubai. Should you, or someone you know, be interested in being nominated, please notify the ABCD office using the below nomination form by 5.00pm, Thursday 21 February 2019.